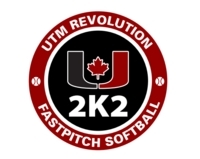 UTM Revolution 2K2 is based in East Durham, Ontario. The program is now under new leadership. David MaCallum is the new head coach for this program, and he is assisted by Greg Arkwright. Both coaches have many years of previous coaching experience, most recently with the Whitby Eagles organization. UTM Fastpitch is looking forward to seeing this team take shape over the winter, and is excited for the 2019 season which will be a new experience for the entire roster of athletes that comprise the team.